So, as I said yesterday, my heart was full watching David in his church’s special video, Called to Serve. I wasn’t sure what to expect with the video – especially once regular posters expressed concern about his “proselytzing.” I was just hungry for more David because he’s been out of our lives for two years. If this is his first video, I’m going to check it out, regardless. David (meaning: “Beloved”) was back, and his joy is so apparent. And I laughed and cried in his joy. Before writing this post, I decided to sleep on it. Keeping Soul David open these past two years was about feeding the heart so we would always feel the Beloved’s absence, even when we got distracted with other issues, other artists, other music. Whatever little nuggets of information out of Chile, we fed on so our heart would not starve and, eventually, leave to find satisfaction elsewhere. It’s understandable. Such distance has typically broken up the most secure intimate relationships, let alone a relationship between a Fan and Her Idol. It had gotten so that I was so busy living my life and tending to my work that I missed the moment of David’s Return. But these past two weeks since David’s return has been a patient reintroduction to the man and why we love him. Whatever speculations there might have been – from his first vlog to his first few tweets – nothing takes away from the reasons why you fell in love with the Beloved in the first place. Hence, my overwhelmed emotions when watching Called to Serve. I was already pleased to see David embrace this part of his life, unafraid to mention his religious activities on Twitter (i.e. watching the General Conference his church puts on) and, most importantly, self-promoting this special video about his two-year mission. Watching Called to Serve gave me an instant flashback to the first time I saw him sing “Heaven.” The context was entirely different, but elements of David’s Spirit manages to shine through no matter what. His sincerity, his generosity, his light. His emotional breakdown when announcing to his fans that he planned to do a mission took on a different light for me. I had an inkling that his tears were about relief that we supported his decision and didn’t turn on him. Hearing him express relief that we didn’t “boo” him, however, is a whole other pressure he felt that I must contend with as a fan: Imagine our own expectations as Fans almost got in the way of David wanting to serve a mission. He cares so much about others, and if this was a simple way for David to give back to his faith, who are we to judge him (STILL!) for doing what he felt he must? It’s because I care about David more than anything else why I supported him in his decision. How horrible would it have been if he gave up on this for some secular career in music, just to please his fans? How do we honor his Spirit when making such material demands on him? This sacrifice is worth it; whatever happens from hereon in, he stepped out on faith, and I think I can give back to David the same level of faith that he followed in pursuing his convictions. That he would follow up such an emotional homecoming with his family to speedily vlog to his FANS that “I’m Home” is real testament that he’s still committed to our relationship. How will we, as fans, reciprocate? Finally: I hear confidence! I see swagger! I see maturity! We’re getting our old David back but with a new twist: He’s more mature and stronger and better! I’ve always liked how he’s not afraid to show his dorky side; he never has been caught up in a “cool pose.” He’s just David, and as he said, that hasn’t changed, and from watching the video, I believe that. I especially saw how he was the same David watching his return (which brought me to tears) and seeing how much older his sisters look while David looks the same. Did anyone else swoon over the new swag in his walk when he was walking through the airport? GAH! That WALK! STILL. GETS. TO. ME. EVERY. SINGLE. TIME! Yes, I’m going to have to remember this quote, especially when I’m getting ready to beat myself up over some personal flaw. I learn so much from an individual almost 20 years my junior. I love how David decided his music career was NOT the place to do his church’s mission, realizing that his career really is about him and not about serving the people. Although God knows David keeps serving his fans, over and over, because he knows how much his Voice has meant to us. Still, watching David apply his greatest gift of singing in the service of his mission was something wondrous to behold. This is a guy who is humble enough to know his Voice comes from a higher source and that it is a source of good, that it’s his greatest asset and rather than try to do a conventional or traditional mission, he simply used his Voice to preach the Gospel. 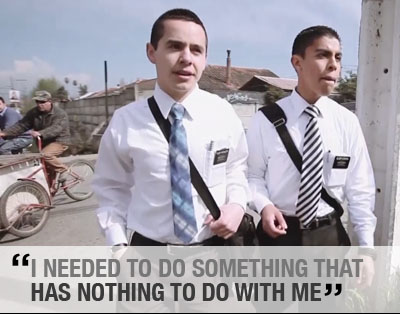 This is why I don’t worry about David “proselytizing,” even if that’s what his mission work has been about. He’s not there to tell us what to do. He’s showing. He’s doing. He’s singing! More than being “Called to Serve,” David has been “Called to Sing.” And through his songs, we get a glimpse of the Spirit. Another moment of tear-shedding happened for me while listening to David sing “Spirit of God” during his missionary training at the end of the video. Such a vivid and visceral moment of watching a young man “catching the Spirit” – as my Black Church tradition calls it – and succumbing to its power. We may not always agree with the channels David accesses to reach that Spirit, but what I mostly care about is that he can access it: a rare gift some of us have never mastered (and some of us don’t even try to). David puts me in the mind of Music as a Divine Source, and it’s the kind of testifying that I truly respect. It’s why I feel he will always make music a priority in his life. JR4DA, as always, is a Tech Godsend for this fanbase! 🙂 Thank you for your devoted work! 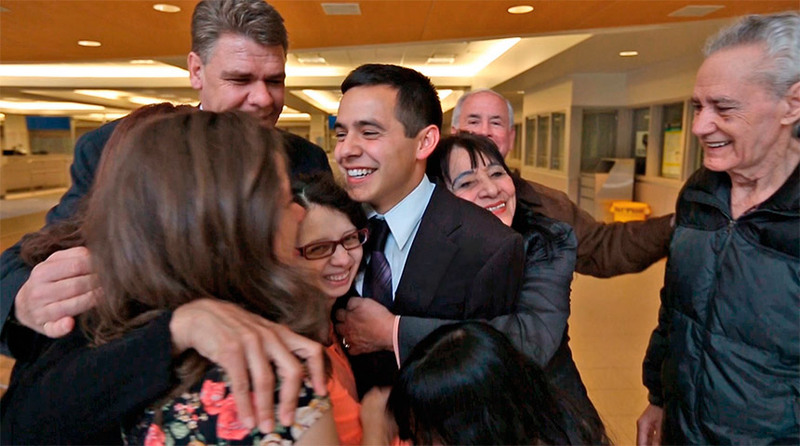 Just a reminder that David Archuleta will be featured in the KLS and LDS program, “Called to Serve,” 3:30 PM EST (1:30 PM Mountain Time).